In corporate life, career advancement and dependability always depends on others, and almost never depends on performance. What if you could control your own destiny, and create a future where you directly reap the rewards of your efforts? Join us and take your first steps to controlling your future through business ownership. In this workshop we will cover the differences in starting a business from scratch, buying an existing business, and buying a franchise; the different ownership options, giving you the flexibility you want; how to diversify your investment portfolio; the tax benefits of self-employment, franchise myths/misconceptions, the reality of creating an asset for your future through a business, financing options, and much more! 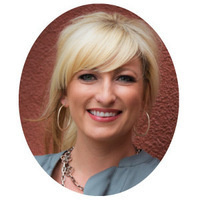 Katie Fagan has over 15 years of experience in the world of business. In her corporate career she worked as the SVP focusing on Mergers and Acquisitions, where she gained extensive knowledge on the ins-and-outs of business. Katie has helped over 600 small businesses open their doors and has facilitated hundreds of SBA loans. She is currently a multi-unit franchise owner and focuses on helping aspiring entrepreneurs realize their dreams of business ownership. Katie holds an MBA in Entrepreneurship and Finance and a PhD in Mass Communications.